In today's world, 72 percent of all marketers have a content marketing strategy in place, according to the LinkedIn Technology Marketing Community. Meanwhile, Curata reports that by the end of next year, more than half of all companies will have an executive who is directly responsible for their overall content marketing strategy. 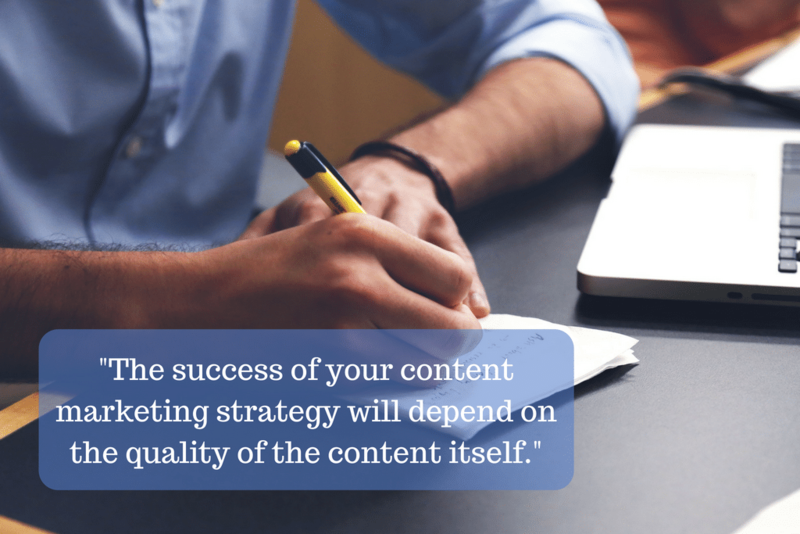 The popularity of on-site content marketing is easy to explain. Audiences have become more cynical towards traditional advertising, email opening rates are historically low and there is an increase in the number of people using ad blockers. Yet, this popularity means there is a huge amount of competition for an audience. When it comes to building an audience via content and social marketing, your position on results pages of search engines should also be an essential ingredient of your strategy. So what are the latest best practice action points that you, and your search marketing agency, should implement in order to optimize your website content to outrank competitors? 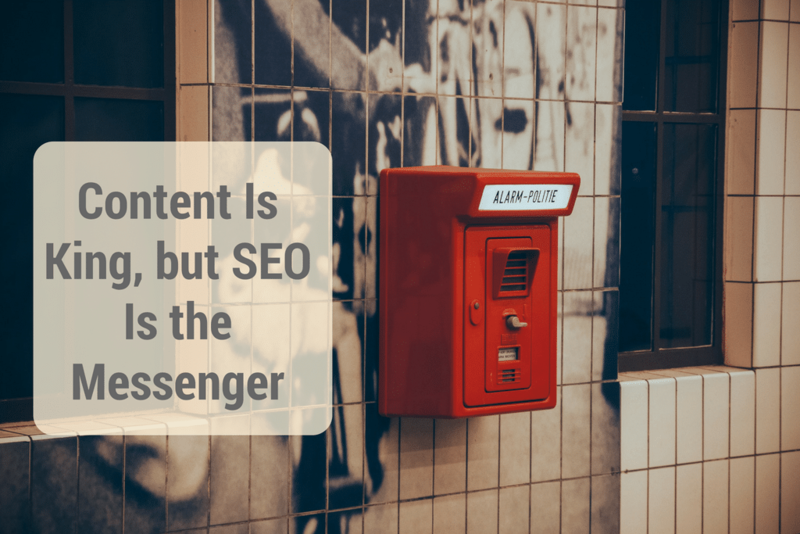 All good SEO consultants will tell you that, more than anything else, the success of your content marketing strategy will depend on the quality of the content itself. If you are going to attract an audience, build trust and influence readers to engage further with your brand, your content needs to be engaging, useful, and well-written. In addition to helping to organically build an audience, producing quality content impacts upon search engine rankings. If the title is well researched, resonates with your audience’s interests or problems and includes your targeted SEO terms, the number of clicks it receives will increase. 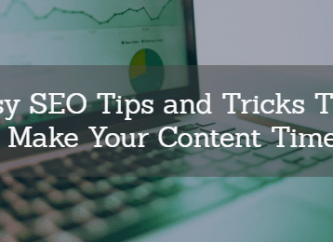 If the content is helpful, fun, or solves some of your audience’s FAQs for instance, users are less likely to bounce back off the page and onto another search result. Both of these things, as well as bounce rate, will influence rankings. Furthermore, despite the popularity of content marketing, a lot of the content companies produce is actually poor in quality. In fact, according to NewsCred, the medium time spent reading a piece of content marketing is just 37 seconds. Therefore, by only publishing well-researched, quality content, you can stand out from the pack. The focus should be on quality and substance rather than creating too many website pages with low-value content. From a tactical point of view, it is good practice to do a review of your web pages every six months and check landing pages with the highest bounce rate, exit rate, the highest number of page views, errors, and conversions if relevant. You will probably end up with a number of pages that are low in traffic and performance, which you might then decide to either kill or optimize. Think of it as a good spring clean that will improve the overall user experience as well as your website crawling and indexing. Of course, while most experts agree that content is king, without employing some basic SEO techniques, even high-quality content can be painfully slow to attract an audience, making it poor as a marketin+g tool. Whether you decide to work with a search marketing agency or go it alone, there are some best practices that can help you out. One of the most important aspects of search engine optimization is keyword research. The goal here is to find search terms that people may enter into Google or Bing when looking for content like yours. Ideally, one or two key phrases should be chosen and inserted sparingly into a piece of content, its title, URL, image data and meta description. However, think of your landing page from a topic point of view rather than obsessing too much about keywords. Ideally, each page needs to shout about a specific topic (i.e. 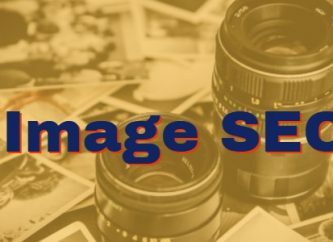 service, product or information) so that search engine crawlers can understand straight away what the page is about in order to index it correctly. I always come across companies and brands who try to fit a bunch of services or information on one page, which not only makes it very hard for search engines to understand and index, but also confuses users as to what the content is about. This results in high bounce rates, exit rates and less of a chance to rank on search engines. Moreover, your website content should be optimized for mobile devices, should include a combination of text and images, and should contain links to both internal and external pages. 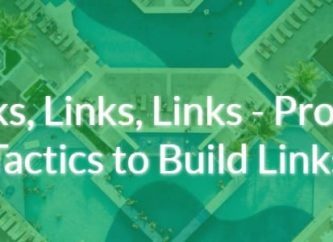 Using relevant links to other pages on your site can help to keep your audience engaged, while simultaneously influencing your rankings positively. 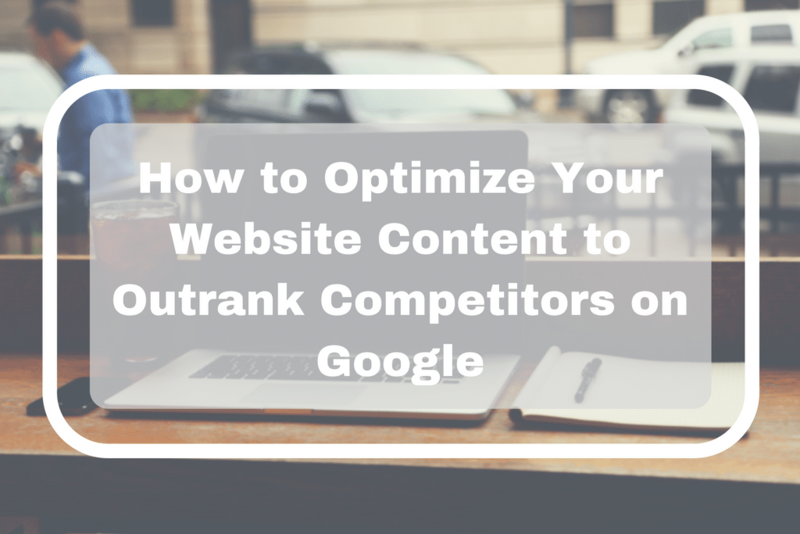 The final step to outranking your competitors on sites like Google is to provide unique value to your audience. This may require you and your SEO consultants to do some market research. It may be that you have access to unique data or can format it in a unique way. Maybe you have a unique perspective, which challenges established ideas. In some cases, the unique value you offer may just be the pure quality of the content itself. Whatever the case may be, setting yourself apart from everyone else is a great way to ensure your content outranks your rivals, attracts a larger audience and ultimately encourages readers to do what you want them to do. "Now that you have this competitive advantage, in terms of the content... you can assemble this stuff in formats that other people don't or won't create," says Rand Fishkin from Moz.com. " That could be things like guides that require extraordinary amounts of work, [or] highly customized formats that have unique interactive or visual components." To conclude, remember that all pages are not created equal. Think of the key pages on your website that need to work harder and contribute to your business’ goals. These are the ones you should start optimizing first, especially if you are low on resources and time (who isn’t!). These landing pages should have great content components that resonate with your audiences (and ideally solve their problems) such as engaging text content, downloadable guides, infographics or fun tools, strong visuals, possible a video and second to none call to actions and links. This optimization exercise takes time and real effort, but it will be highly rewarding if you get it right and your pages end up above your competitors’ in search engine result pages. Christelle Macri is the founder of Ebizpromotion, a leading SEO agency in Berkshire, with a no-nonsense and ethical approach to digital marketing. She is also search engine consultant with over 17 years’ experience in the internet advertising industry. Having worked for a major search engine and pioneering pay for performance advertising networks, she is an expert at turning her clients’ websites into consistent revenue streams, using a variety of digital channels. Feel free to connect with her on Twitter.